All of these connect the dots worksheets are free and they can be printed out and handed over to your child. I also have a list of online connect the dots games that can all be played on the computer. You can find more free printable activities for kids including color by number worksheets, hidden picture worksheets, and printable mazes. These easy connect the dots worksheets have the kids connect numbers 1 through a maximum of 15. They are a great way to teach the kids how to count or reinforce basic counting skills. Caterpillar Connect the Dots: This is a wonderful beginning connect the dots worksheet going up to 5. Beginner Dot to Dot: Teach the basics of connect the dots to your toddler with this simple one that goes 1-8 to form a circle. Sailboat Connect the Dots Printable: This connect the dots printable will let the kids complete a picture of a sailboat when the connect the 1-9 dots. Fish Connect the Dots Worksheet: Follow the numbers 1 through 9 to complete a picture of a fish. Goose Connect the Dots: Make your way through numbers 1-9 to display a picture of a goose. Flower Connect the Dots: Count 1 through 10 to complete this easy connect the dots worksheet. Elmo Connect the Dots: Teach your kids how to count with the help of Elmo in this dot to dot worksheet. Sun Connect the Dots: Any kid will love this cheerful 1-12 connect the dots worksheet of a sun. 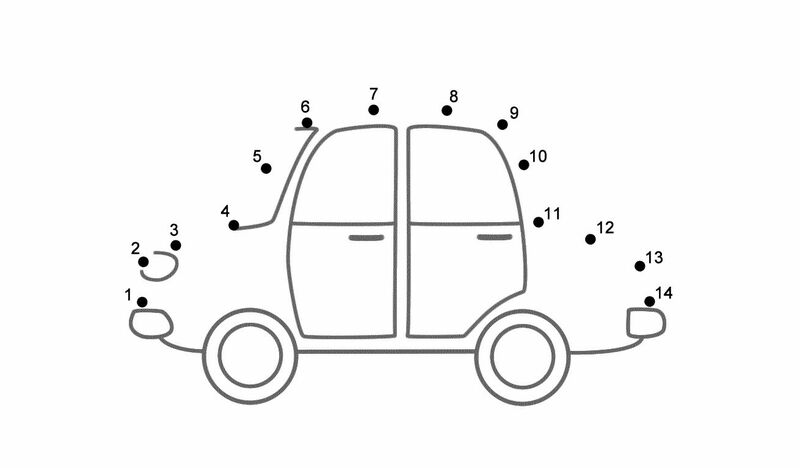 Truck Connect the Dots Worksheet: The kids will end up drawing a truck in this 1-13 connect the dots worksheet. Car Connect the Dots: Connect the dots 1-14 to complete a picture of a car. Here are some easy alphabet connect the dots worksheets that have kids go through the uppercase alphabet, A-Z. See the medium level section for lowercase alphabet dot to dots. Moon Connect the Dots: Follow this straightforward A-Z connect the dots to draw a picture of the crescent moon. Spider Web Connect the Dots Worksheet: Complete this connect the dots worksheet to display this happy looking spider's web. Brachiosaurus Alphabet Connect the Dots: Use the uppercase alphabet to complete this picture of a brachiosaurs dinosaur. Hammer Connect the Dogs: Follow the dots A-Z to complete the hammer. Pig Connect the Dots Printable: Go all the way to Z to complete the picture of this barnyard animal. Here are some medium connect the dots worksheets that require kids to connect the dots 1 through numbers as high as 50. Bear Connect the Dots: Display a picture of a bear by following the dots up to 19. Seashell Connect the Dots Printable: Here's a picture of a seashell that uses dots 1-20. Basketball Dot to Dot: Complete the basketball with the numbers 1-22. Lighthouse Connect the Dots Worksheets: You'll finish with a picture of a lighthouse with this 1-27 connect the dots. Unicorn Connect the Dots: This picture of unicorn uses dots that go up to 28. Fire Truck Dot to Dot: Get all the way to 33 to finish this fire truck dot to dot. Castle Connect the Dots: Follow the dots numbers 1-35 to complete the picture of the castle. Turtle Connect the Dots Worksheet: This turtle connect the dots worksheet goes up to 35. Cat Connect the Dots: Go up to 37 to finish this connect the dots printable. Bat Connect the Dots: This connect the dots worksheet is a little bit more difficult using the numbers 1-38 to show a bat. Cow Connect the Dots: In this connect the dots worksheet, you'll be finished when you reach number 41. Snake Connect the Dots: Don't be frightened by this 1-43 snake connect the dots. Frog Connect the Dots: Draw a frog by connecting the dots 1-45. These medium level alphabet connect the dots worksheets have kids connect the lowercase alphabet, a-z. Dog Connect the Dots: Follow the lowercase alphabet to complete the connect the dots picture of this dog. Tower Connect the Dots Worksheet: Complete the picture of the tower using the lowercase alphabet. Pterodactyl Connect the Dots: Use the lowercase alphabet to complete the picture of the pterodactyl dinosaur. Ice Cream Cone Connect the Dots: Connect a-z to finish the picture of the ice cream cone. Airplane Connect the Dots: Go a-z to get a completed picture of an airplane. Flower Alphabet Connect the Dots: Follow the lowercase alphabet and you'll get a picture of a beautiful flower. Shamrock Connect the Dots Worksheet: This connect the dots worksheet will have the kids following the lowercase alphabet. Astronaut Connect the Dots: Follow the dots 1-69 to reveal the astronaut. Seahorse Connect the Dots: The kids will need to count to 80 to solve this one. Scarecrow Connect the Dots: Follow the numbers up to 82 to complete this worksheet. Olympic Rings Connect the Dots: This connect the dots goes up to 87 and will reveal the Olympic Rings. Clown Connect the Dots Worksheet: Count 1 through 90 to complete this connect the dots worksheet. Robot Connect the Dot: Finish the robot while you connect the dots 1 through 95. Dragon Connect the Dots Printable: Complete the dragon using numbers 1-98. Circus Connect the Dots: Reveal the picture in this 1-109 connect the dots. 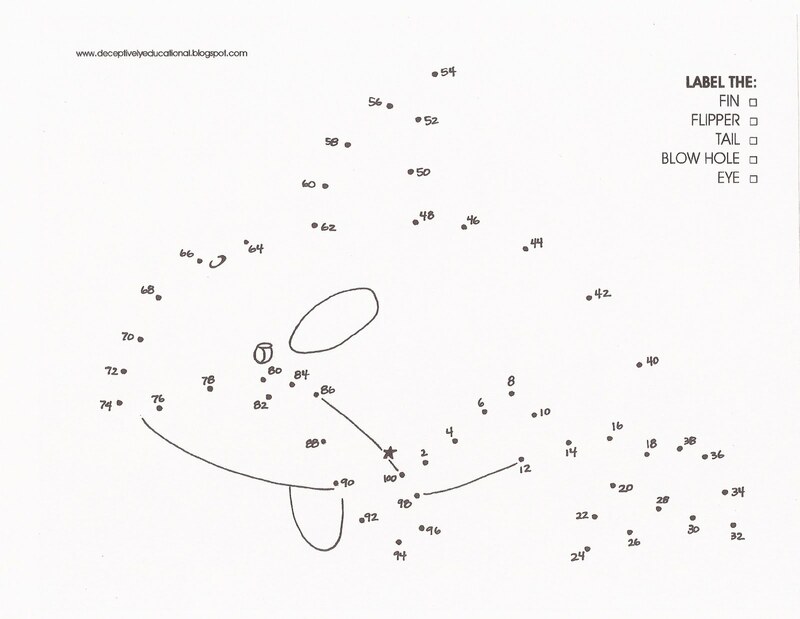 Forest Connect the Dots: What animals can you find hiding in this connect the dots worksheet? It goes all the way up to 120! Circus Elephant: Prepare for the ultimate dot to dot puzzle while you follow the dots 1 to 127. Here are some harder connect the dots worksheets that require kids to use skip counting of 2's, 5's, and 10's to complete the worksheet. Squirrel Connect the Dots Worksheet: Skip count by 2's up to 20. Pig Connect the Dots: Complete this connect the dots worksheet by skip counting by 2's up to 40. Bat Skip Counting Connect the Dots: Skip count by 2's all the way to 50. Whale Connect the Dots: The kids will need to count by 2's up to 100 to complete this worksheet. Sand Castle Connect the Dots: You'll need to skip count by 5's all the way up to 100 to solve this one. Xylophone Connect the Dots Worksheet: Count by 10's through 150. Elephant Connect the Dots: This connect the dots worksheet has you skip count by 10's up to 200.